At the southern end of the Roseland Peninsula sits St Mawes, a picturesque fishing village, with its rows of whitewashed cottages and small working harbour, overlooked by Henry VIII’s clover-leaf shaped fortress. It takes a long time to get to St Mawes, which is why it is such a peaceful spot. It has become a popular haven for holiday makers, nature lovers and watersports enthusiasts, and there is plenty of choice of accommodation, pubs and restaurants in the area. 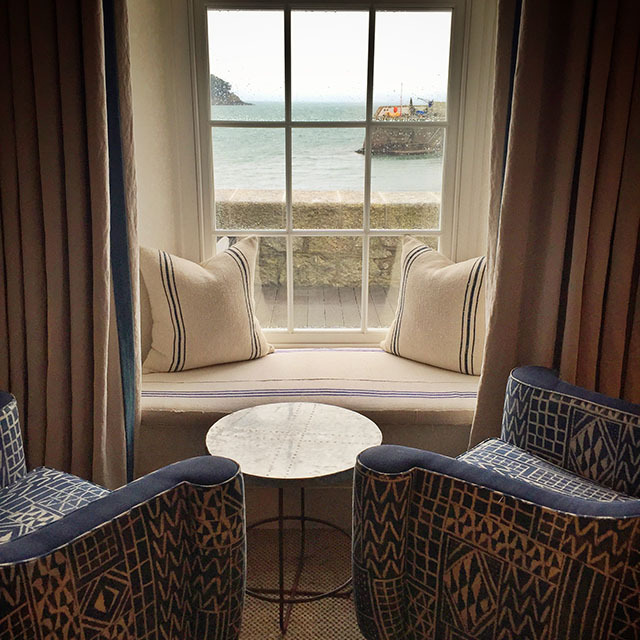 The Idle Rocks Hotel was built on the edge of the harbour in St Mawes in 1913 and has recently undergone a complete refurbishment by current owners David and Karen Richards. I had heard a lot about the hotel, and was more than happy to accept an invitation to lunch. A warm, calm atmosphere greeted me as I burst into the hotel reception, looking rather bedraggled from the wind and rain. The hotel sits right on the harbour’s edge, with a south-facing terrace I could only dream of sitting on in the sun. The views from inside were pretty good though, and I was very quickly relaxing with a coffee in the comfortable lounge, watching the fishing boats coming in and out. But I was here to eat! And so to the smart dining room, cleverly designed over three tiers so that every table has a sea view. The spring menu had only just been launched and I was keen to try it out. Head Chef Mark Apsey’s (ex-Nathan Outlaw and Alan Murchison) menu had caught my eye for it’s originality, with inventive combinations that just needed to be tasted. We kicked off with a basket of soft seeded bread, still warm, with a perfectly crunchy crust, and a choice of butter or dipping oil with balsamic vinegar. Ceviche of the week was red mullet (above left). 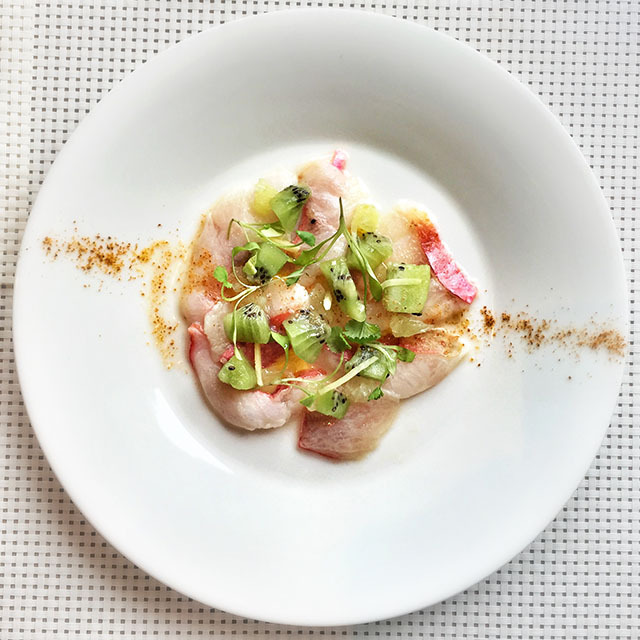 The succulent slices of fish were served with tiny chunks of sweet and sharp kiwi and grapefuit, slivers of ginger and micro coriander. Debbie Warner, Head of PR and Marketing for the hotel, joined me for lunch. 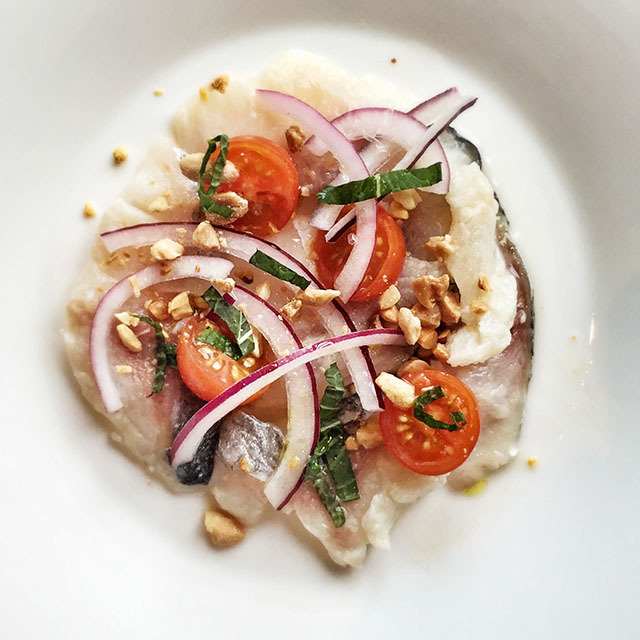 She opted for the sea bream ceviche (above right), served with red onion, mint, peanuts and cherry tomatoes. This was such a contrast from the red mullet, even the texture of the fish was completely different, much softer, and the onion and peanuts made it a more savoury affair, and equally delicious. I would have happily eaten anything from the menu, but I was particularly intrigued by the Roseland scampi (below left), and my mouth is watering as I remember the dish. 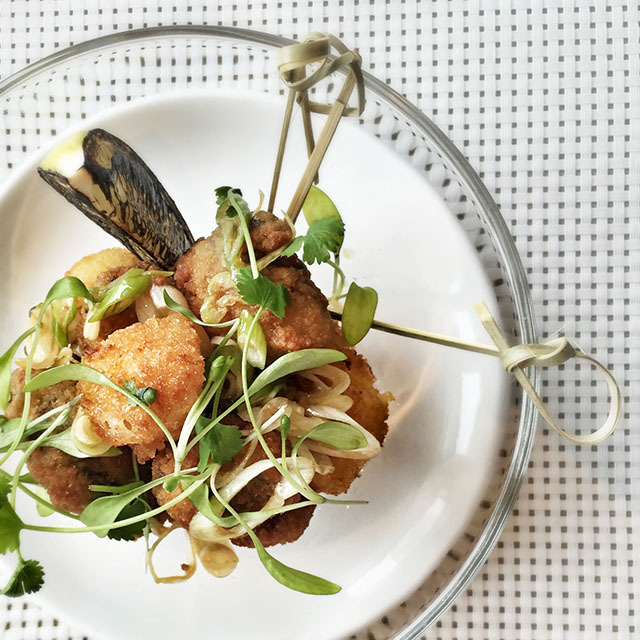 Each mouthful was a lucky dip; the hot and crispy nuggets contained either tiny scallops or juicy snails (from nearby Kernow Escargots), and who would have thought that spring onions, soy sauce and coriander would have gone with scampi so well? A delight. Debbie put to me to shame with her healthy choice of a chargrilled courgette and pepper salad (above right). 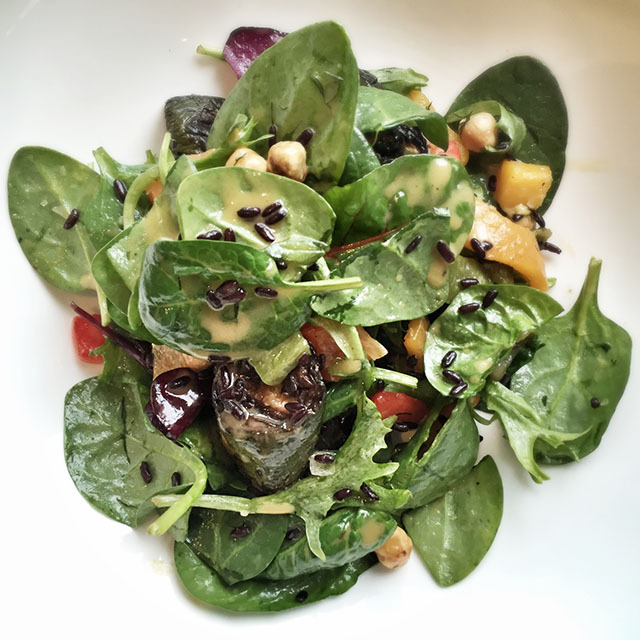 The vegetables were topped with spinach, black rice and hazelnuts and the most beautiful dressing. It would have been rude to leave without pudding, so we ordered one of each of the “sweet plates”. The chocolate and ale ganache (above left) was smooth and rich, served with crunchy miniature meringues and malted milk ice cream. The addition of chocolate sauce, delicious chocolate crumbs and a beer jelly (made from a stout made with chocolate malt) meant that I wolfed my half down very rapidly. I had never tried butternut squash ice cream before, and wow, it was good. 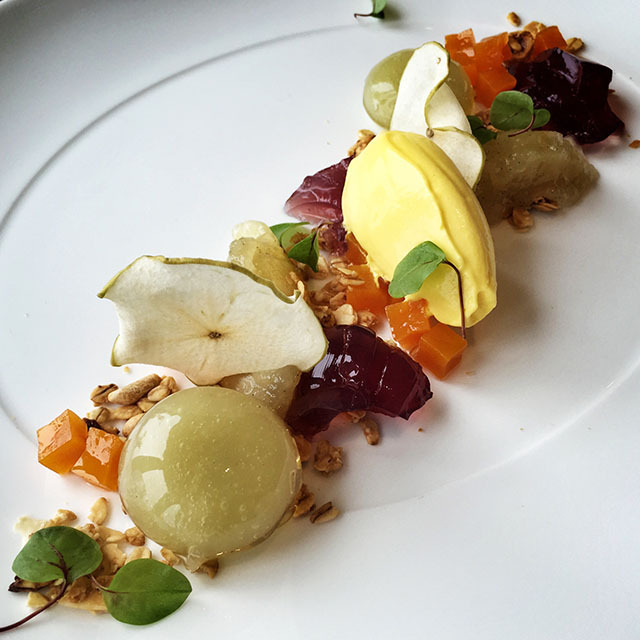 This was served as part of the “Apple Granola Crumble”, along with apple gel, dried apple, stewed apple, sweet crispy grains of granola and tiny cubes of candied butternut squash. It was sweet and sharp, with the ice cream providing the perfect contrast in flavour and texture. After lunch I was treated to a quick tour of the rooms. Sumptuous bedding (with cute sticks of rock for guests) and soft blankets looked very inviting. 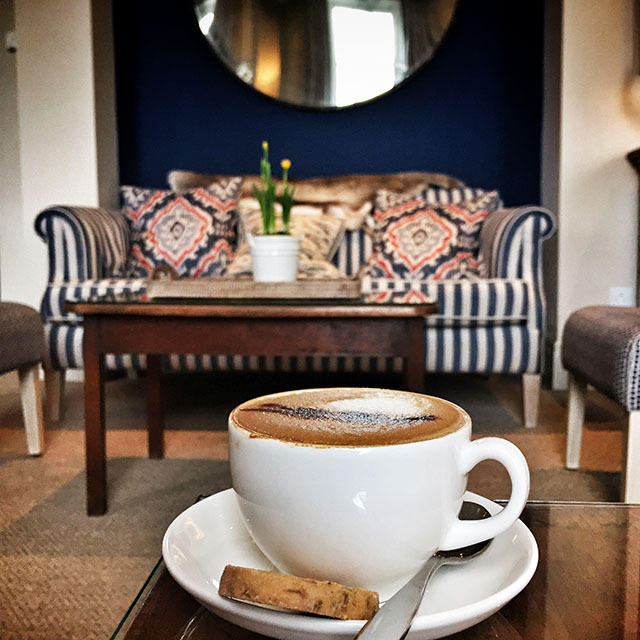 Rooms contain comfy arm chairs and sofas, top notch bathrooms and far-reaching sea views, with lovely touches like Roberts digital radios and Nespresso machines. 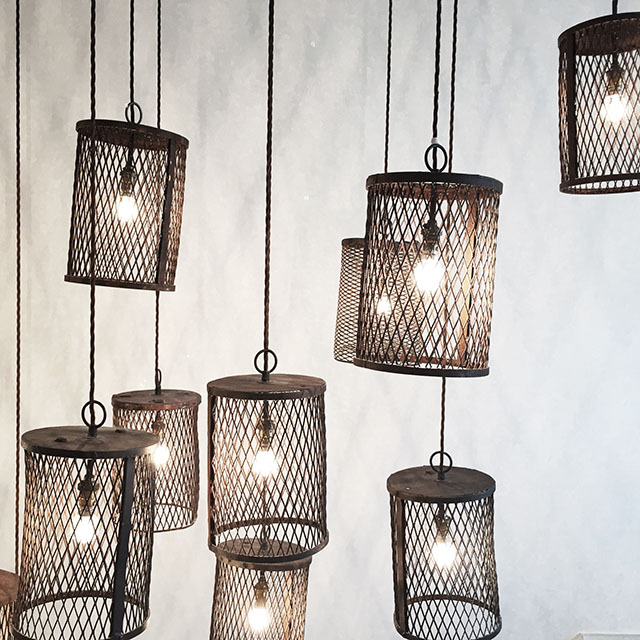 The artwork around the hotel is particularly beautiful, and I adore the lobster pot lights in the main stairwell (pictured, above right). Children are well catered for with a fun kids’ room, and a family suite with adjoining rooms. The twin room (pictured, below right) is perfect for older children. 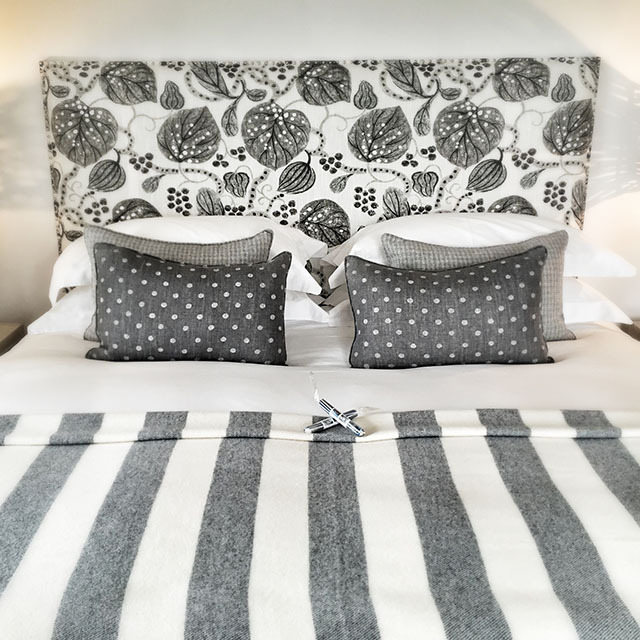 Owner, Karen Richards, certainly has a good eye for detail and the hotel has that magical combination of being smart and stylish as well as relaxed and comfortable. 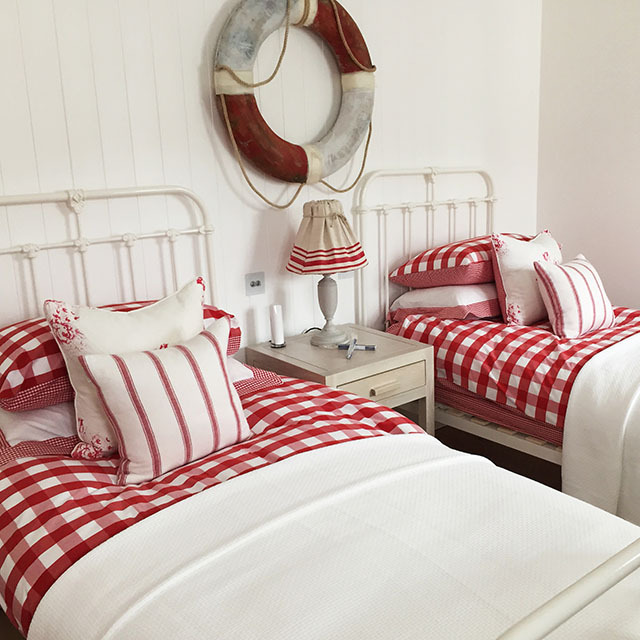 The Richards’ next project is the refurbishment of The St Mawes Hotel, due to reopen for Easter 2015. But back to the food… We ate from the Spring lunch menu. During the evening an à la carte menu is available, and on Sundays brunch and lunchtime roast menus are served. 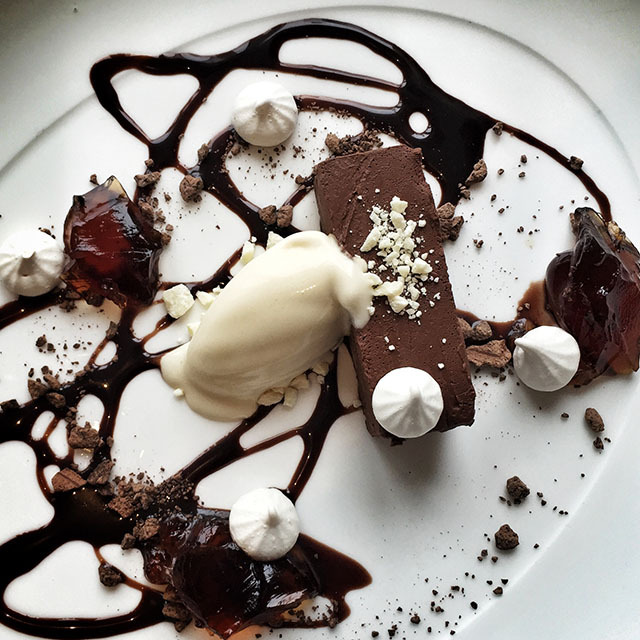 On the strength of my lunch I will be returning to try out more of Mark Apsey’s fabulous food, and I might just have to decamp to St Mawes for a few nights while I’m at it. 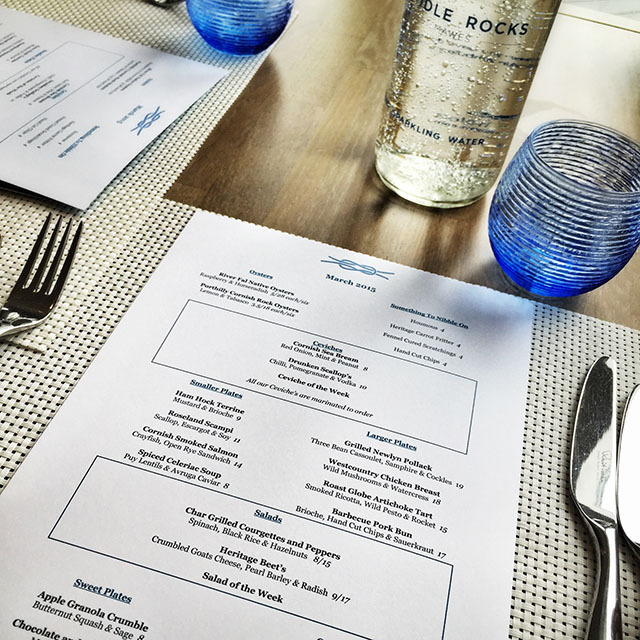 The Idle Rocks‘ restaurant is open to non-residents. For table reservations please phone 01326 270 270 or email [email protected]. Thank you to Debbie for treating me to such a delicious lunch, and to the staff for looking after us so well. For more information please visit idlerocks.com.